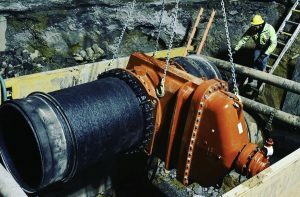 AMERICAN provides your pipe, valve and hydrant solutions: from 4-inch ductile iron to 12-foot spiral-welded steel pipe for raw, potable, waste and effluent water; from 12.75-inch to 24-inch steel pipe for crude oil, refined products and natural gas; from 2-inch to 66-inch gate valves; and two brands of municipal and industrial fire hydrants. AMERICAN has seven manufacturing facilities in the U.S. with inventory on the ground at 11 locations in 10 states. And our more than 100 highly trained and experienced sales and technical professionals are here to help solve your toughest challenges. You can depend on the resilient products and resourceful people with AMERICAN. We’ve been doing business by the Golden Rule – treating our customers the way we want to be treated – for 112 years. Because that’s the Right Way to do business. 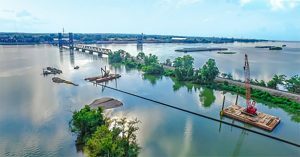 Maury D. Gaston – BSME; Manager of Marketing Services, AMERICAN Ductile Iron Pipe and AMERICAN SpiralWeld Pipe; ASCE; M. AWWA, Chair of the pipe sub-Committee of AWWA A21 Committee. Christopher Dillard, P.E., BSCE; Project Manager, Cobb County-Marietta Water Authority; M. ASCE; M. AWWA; M. PMI. James R. Ballintine, BSME; Territory Manager, AMERICAN Ductile Iron Pipe and AMERICAN SpiralWeld Pipe; M. AWWA. 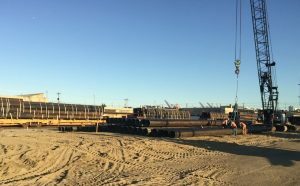 Read the AMERICAN News Center article, AMERICAN Spiral-Welded Steel Pipe and Big Easy Flood Control, about this project. For a complete ASCE Pipelines 2017 program guide, click here.